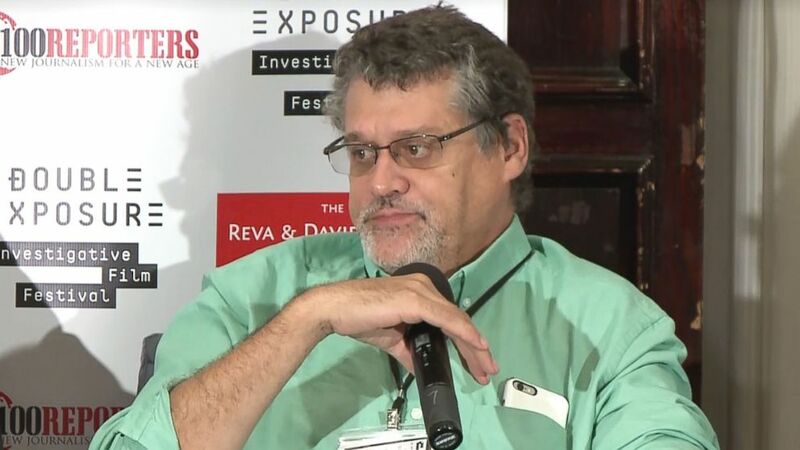 Glenn Simpson of Fusion GPS appeared on a panel during the 2016 Double Exposure: Investigative Film Festival and Symposium. The research firm that commissioned the infamous dossier alleging that Donald Trump had deep ties to Russia has continued to be hit with subpoenas from House Republicans this week, and returned to federal court Friday arguing the assault is doing “grave and potentially fatal damage” to its business. “It is a poorly disguised effort to harm persons and a business who have had the courage to assert rights not to disclose confidential and privileged information,” lawyers for the company argued. Last week, the two clients who funded the company’s research on Trump identified themselves, a move intended to end the effort by House Republicans to pry open the firm’s bank records. A Republican-backed publication, The Washington Free Beacon, and later a law firm for the Democratic National Committee and the Hillary Clinton campaign, acknowledged hiring Fusion GPS to conduct research on Trump’s expansive global business ties. Democrats paid the firm more than $1 million for the work. This week, the fight between Fusion GPS and the House Intelligence Committee resurfaced. The House Intelligence Committee renewed subpoenas aimed at opening the firm’s bank records to help them identify the firm’s full range of clients, including many that had nothing to do with the Russia investigation. In new court filings, Fusion GPS has sought a temporary restraining order against its bank, to prevent confidential financial records from being turned over to House Republicans. “So to suggest that somehow the Committee should be satisfied with transactions relevant to the dossier ... would not address the Committee's legitimate interest in enforcing this constitutionally valid subpoena,” Hungar said. House Intelligence Committee Chairman Devin Nunes, R-Calif., declined to comment. The judge hearing the matter, U.S. District Court Judge Tanya S. Chutkan, urged both sides to reach a compromise, saying there is no firm boundary identifying the limits of congressional power. “I am really very, very reluctant to wade into this dispute because it presents issues on which there is very little authority, and because it involves a congressional investigation in which I do not wish to intrude,” she said. “The subpoena is very broadly drafted, as I see it,” she said. With the new filings late Friday, it appeared the outcome, which seemed close to a resolution last week, will be back before her court in coming days.